Taking place in the early days after the destruction of the Death Star and before the more recently published, The Weapon of a Jedi, we are plunged into a bit of a meandering adventure as author Kevin Hearne puts Luke Skywalker through his paces, as the young man takes his first steps in learning to be a Jedi. 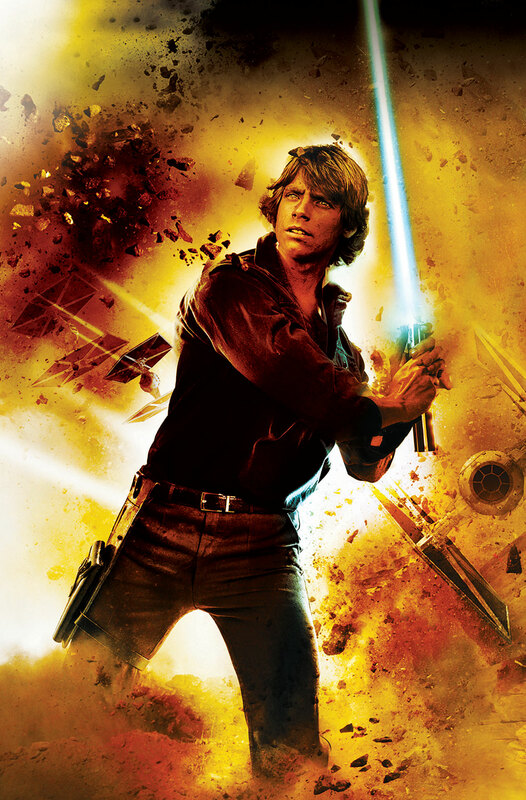 A young Lieutenant in the Rebel Alliance, Luke is still recovering from the loss of his Uncle Owen, Aunt Beru, and his would-be mentor, Obi-Wan Kenobi. He is given an assignment, pairing him up with Nakari Kelen, and her spaceship, the Desert Jewel, to extract a slicer named Drusil from Imperial custody. Drusil, a mathematical genius, has agreed to slice into Imperial databases and provide the rebels with important information if they can extract her, and rescue her family, reuniting them all on a remote, uninhabited planet. 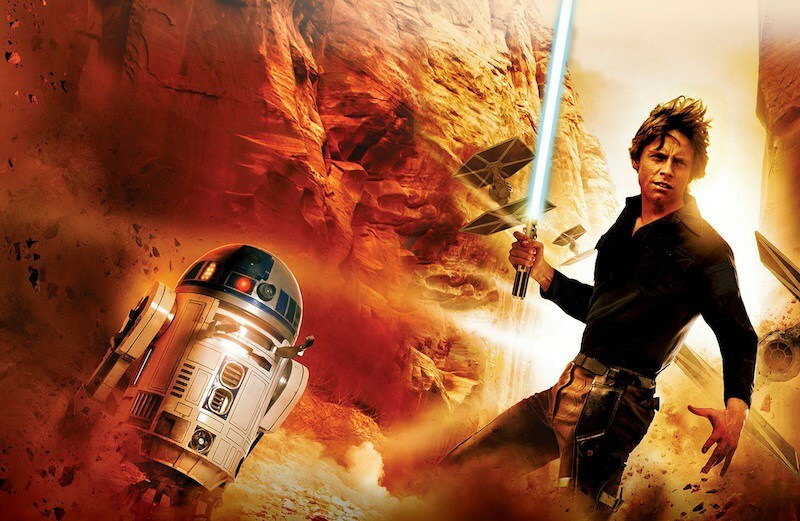 So Luke, his loyal astromech, R2-D2, and Nakari, with whom he shares a growing attraction find themselves taking on Imperials, brain-eating parasites, and a deluge of bounty hunters, all while the young pilot tries to find a connection to the Force, and follow in the footsteps of his father. A lot of this book works really well, it moves along, it has space battles, blaster fights, and it has Luke at the beginning of his journey… but I’m not sold on the way it’s written, all in the first person. While I liked the story, I didn’t necessarily need, nor did the book, to be inside his head. That coupled with the fact that some phrases, items and dialogue which are common place for us just don’t feel like the right match in the Star Wars universe. It doesn’t slow the story down, but occasionally it would give me a bit of a knock as something would just stick in my craw, because it didn’t ‘feel’ right. That being said, it’s still a fun addition to the newly created canon universe, and I was a little worried when I heard when it took place, and what the story would be, especially after having read Weapon first, but they actually work rather nicely together, and you can see how one could lead nicely into the other. I don’t think first person is something that works well for the established heroes in the Star Wars universe, because then you’re taking away the reader/viewer’s ability to project themselves into the character. Instead, we’re told now what Luke thinks about some things, little thoughts that pass through the transom of his mind, and while they don’t necessarily contradict or conflict with anything already established, it is now considered fact, because these books are the new canon.